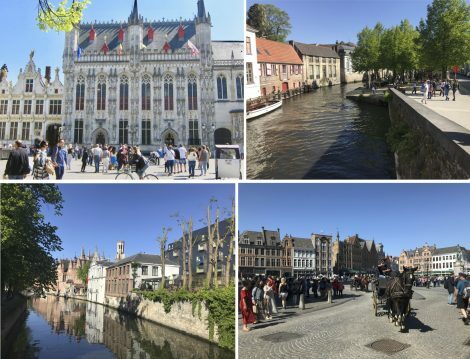 Bruges could be Europe’s most perfect little medieval city. 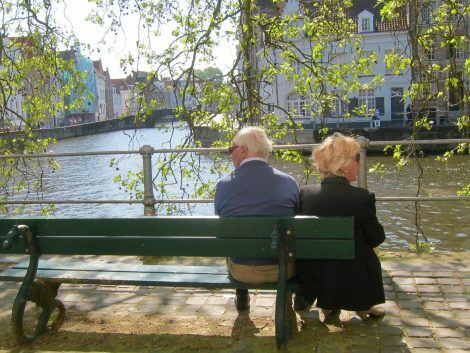 Designated a UNESCO World Heritage Site for its historic significance, Bruges overflows with charm. 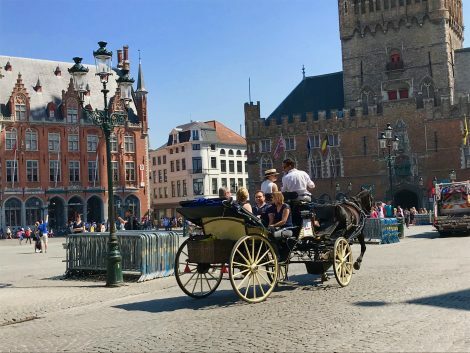 Old graceful canals, ancient cobbled streets, distinctive gothic architecture, archaic cafes and bars fill the city. 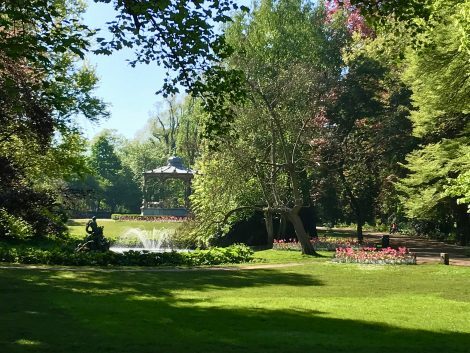 In addition, Bruges sports a variety of contemporary pleasures, such as fine hotels, divine restaurants, nice shops, chocolate and beer. Nothing is needed to upgrade the appeal. All is delightful—which is both good news and bad news. 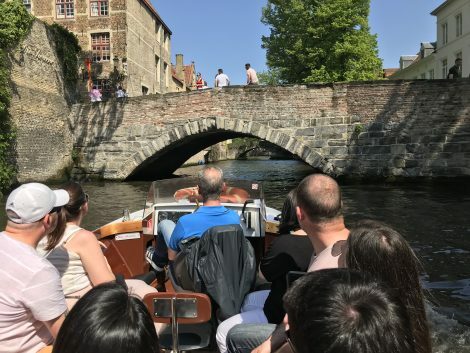 On the downside, Bruges packs in the tourists, especially on weekends and holidays where crowds…well…crowd. 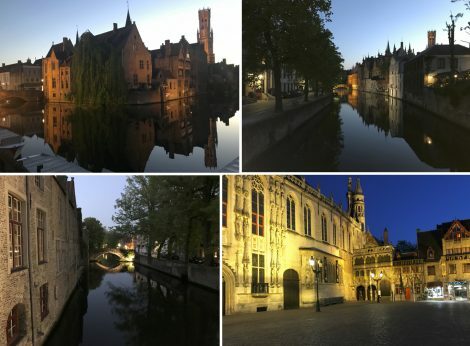 On the other hand most of the tourists are day-trippers who abandon the city as the shops close and Bruges is at it loveliest, quietest and most romantic in the still of the night. Perfect. Stroll around town. Stop to smell the wisteria. 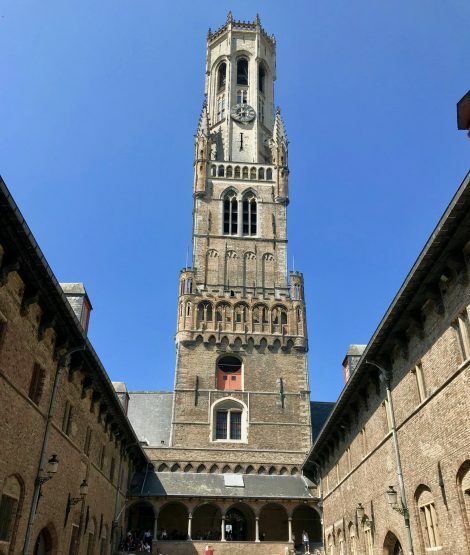 Climb the 366 steps of the 13th-century Belfry for beautiful panoramic views. 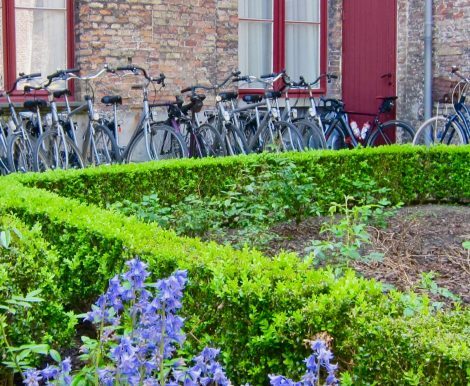 Borrow a bike and ride along the canals and/or on paths looping almost around the city. 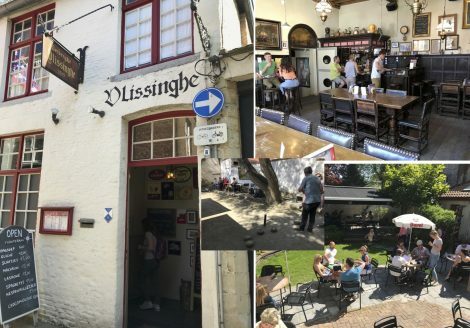 Stop at the Café Vlissinghe, Bruges’ oldest bar (established in 1515), for a brew and bite while you watch a game of the rather obscure feather bowling. 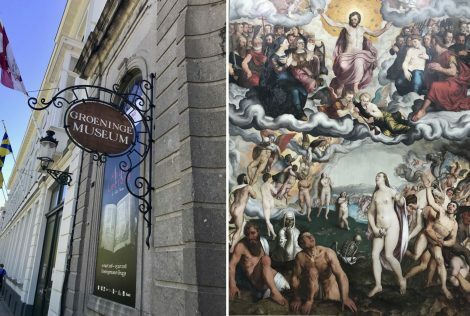 Check out the glorious Flemish Primitives at the glorious Groeninge Museum. Sit in a park and listen to the bells that spread over the city like sunshine regulating wake up and close down and all in-between. 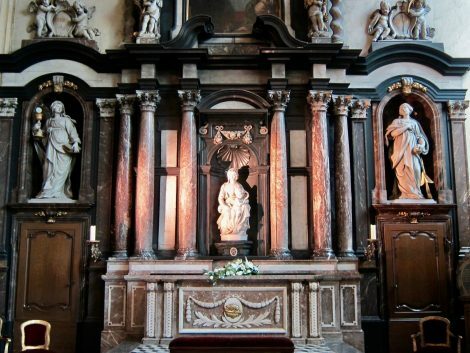 Visit in the Church of Our Lady to see Michelangelo’s magnificent Madonna and Child sculpture. Lamp museum (yes, really, there is such a thing). Check out lace for which the city is so famed. 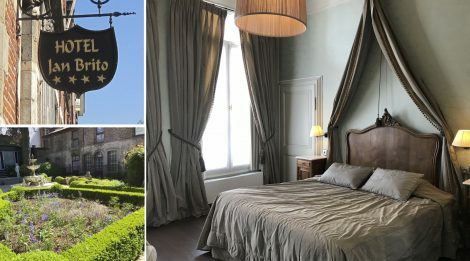 Stay at Hotel Jan Brito, a lovely 36-room property built into a renovated 16th century mansion. Good location in the city center. Free Wi-Fi. Buffet breakfast. Variety of rooms and suites at good prices. Bike rentals. Friendly, accommodating staff. Nice all around. Have a luscious dinner at Restaurant De Visscherie. Order: The Visscherie Cocktail (see recipe below) and then the 1st course: Smoked eel with foie gras, shaved beets, shaved cucumber, sprouts, diced apple and a dressing made with sour cream and buttermilk; 2nd course: Skrai cod with white asparagus, potato mash with garlic, dark toasted sunflower seeds, sauce of ground grey shrimp; and the 3rd course: “Springtime in a plate,” strawberries, white chocolate mousse, basil, flat pieces of lemon flavored bonbon mirror, chocolate and lemon flavored meringues. Yield: 5 to 6 cocktails. Long slivers of orange zest, for garnish. When ready to serve, make each cocktail by pouring about 3/4 cup chilled mix into a cocktail glass. Top with 1/4 cup chilled cava. 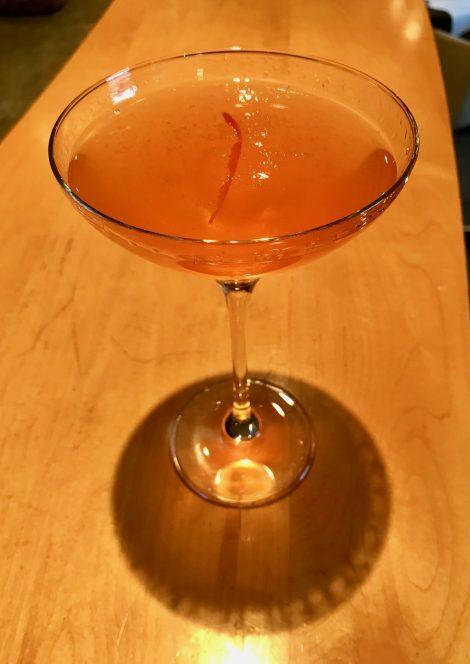 Add a strip of orange zest to each drink for garnish and serve immediately. 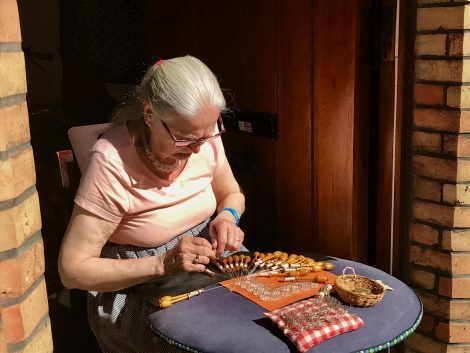 on Belgium food specialities and a great fries recipe, click HERE. on Belgian chocolate, click HERE. on Bruges art, click HERE.